Normally, the holiday itself is different for Vietnamese in that its a little bit more focused on children. For Chinese, its a little bit more romantic for couples. 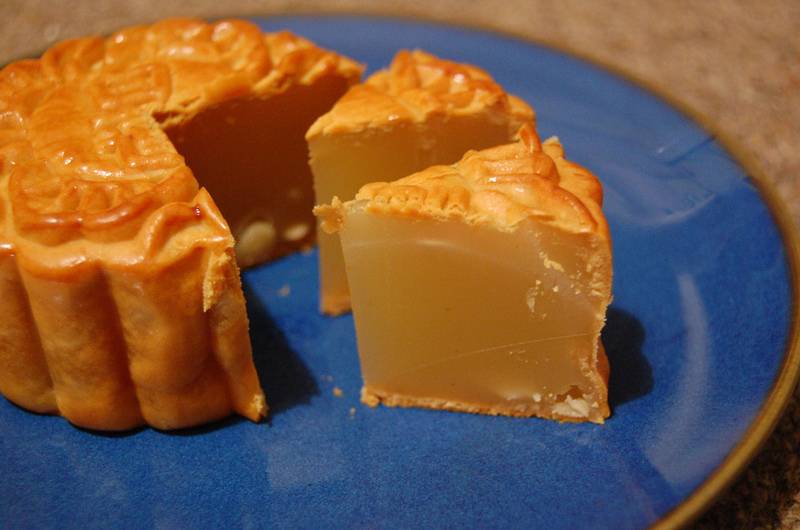 But honestly, one of my favorite things about the holiday is eating lotus moon cakes… and they only come out during this time of year…. D: Some people might think they are very dense cakes, but they’re best served with some neutral tasting teas. The innards come in a variety of flavors, but I’m much more partial to the sweet bean paste flavors like lotus bean, mung bean, and red beans. During July, I visited the booth ShinHan Art Supplies was stationed at during Comic Con, and I came back with two new pens. I all ready had an 0.3 pen, but now I own an 0.1 and a Brush pen in addition. My collection keeps on growing. The Touch Liners do come in a variety of other sizes ranging from: 0.05, 0.1, 0.3, 0.5 and 0.8mm and in a pack set of 5 or 7 liner nibs. It’s quick to dry, works like Copic liners, water resistant, smear proof, and archival ink as well as other nifty things. The pen, like other products, was made in Japan, but created in Korea. The ink also retains well against markers like the Touch and Copic inks. 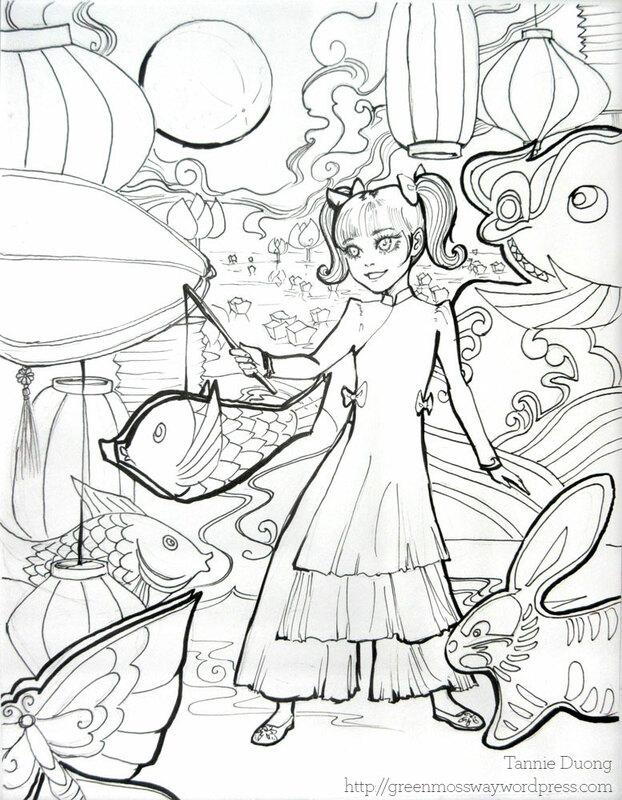 Near the end of the drawing, I outlined the things I wanted to pop out the most with the brush pen. 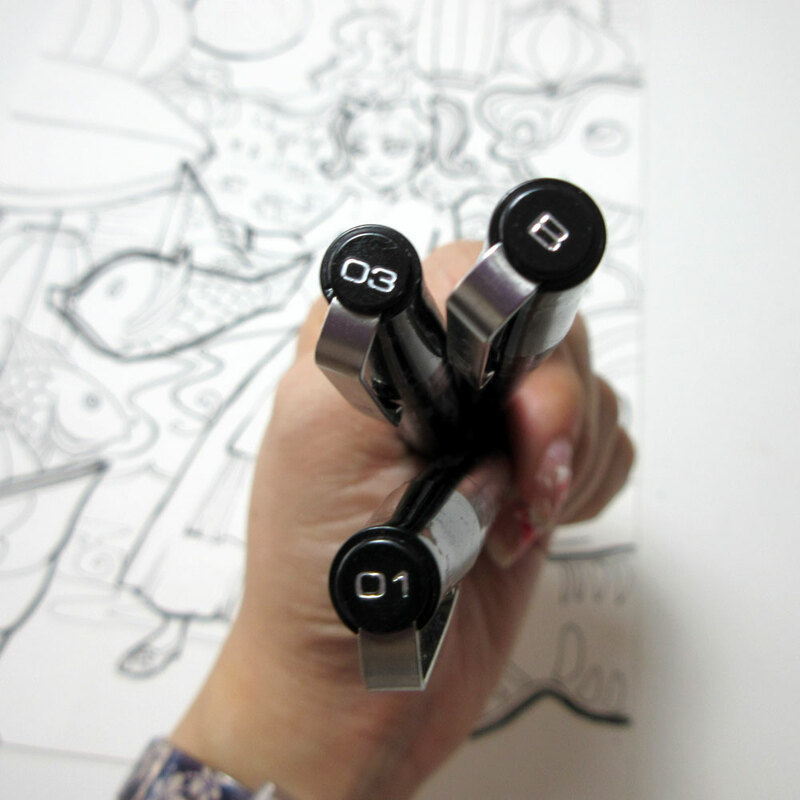 This is one of the nicer liner tip brush pens I have used. It’s flexible, but not overly so, and creates a “cleaner” brush affect than say my old Sakura liners. They’re really comparable to the Copics just because I always get an 0.3 since its the ideal size for any quick line drawing. 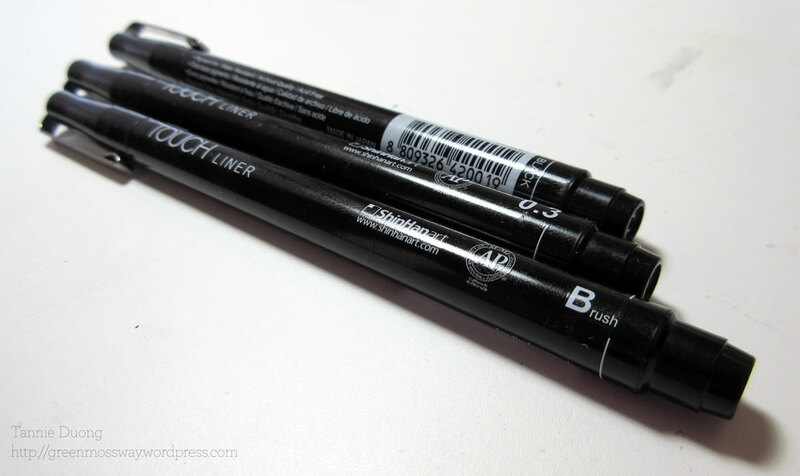 I think the one thing I’d like to see next is also having a refillable version of the Touch Liners too just because I’m all for sustainable products these days. Honestly, I’m not even endorsed by them to do any of these reviews; I just like the company owners, who are really personable and friendly, and the products they make are really awesome and affordable compared to a lot of the leading products out there. As always, if there are any questions or advice concerning the reviewed products, what you wish I talked about more, don’t hesitate to leave a comment. 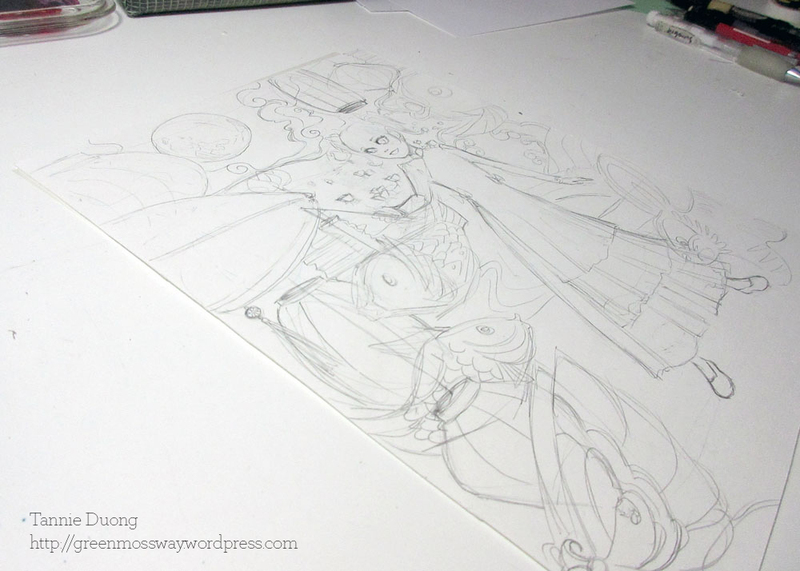 Please stay tuned for a video on coloring this piece with ShinHan Markers, along with another review based on their markers.